Short grammar review, matching pictures,make affirmative,negative forms, and short answers. 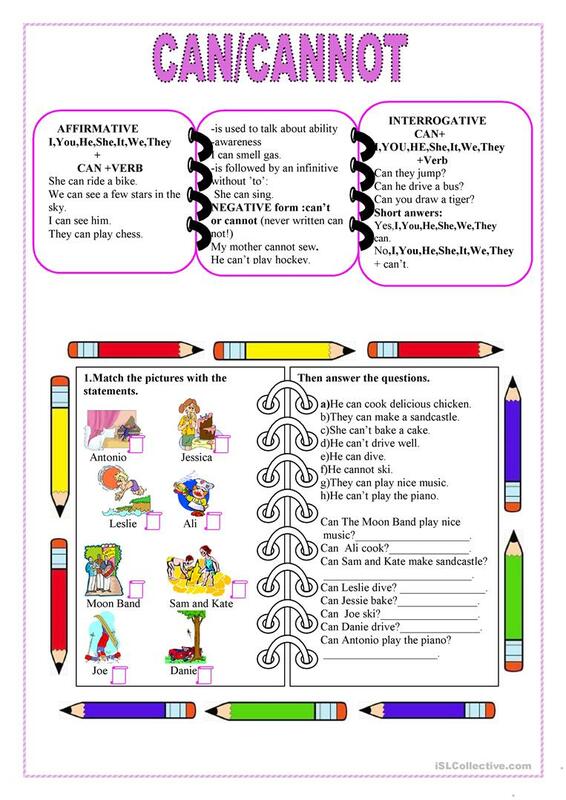 This downloadable worksheet is meant for elementary school students at Beginner (pre-A1), Elementary (A1) and Pre-intermediate (A2) level. It is a useful material for consolidating Modals in English, and is useful for honing your learners' Writing skills.